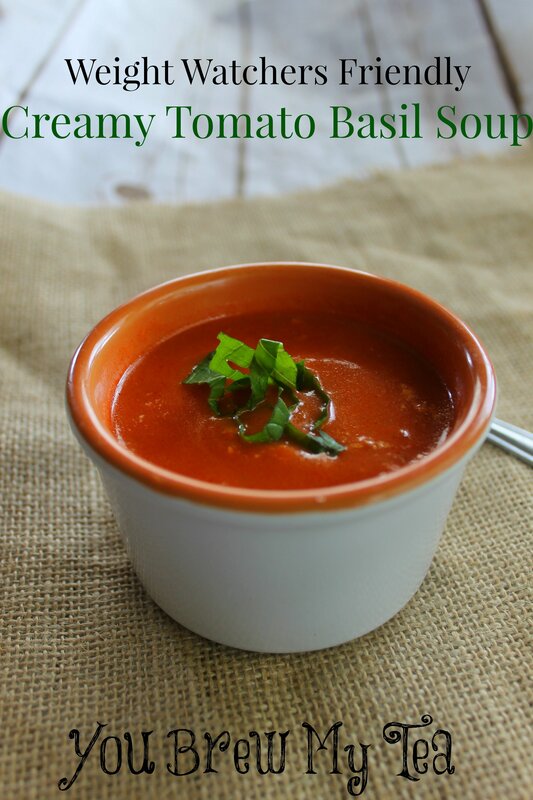 This Weight Watchers Creamy Tomato Basil Soup is a delicious choice for lunch or dinner. I love the idea of having a bowl of this Weight Watchers soup alongside a nice toasted cheese sandwich or a hearty salad. The flavors and preparation are simple, and it reminds me of my favorite childhood lunch! Flavorful food can still be healthy, and it needn’t be complicated either. This recipe is from scratch and so simple! (other than using canned tomato sauce- you can cook your own down but….ain’t nobody got time for that!) Pantry to the dinner table in less than 3o minutes with all the homemade flavor of soup that has cooked for hours. I also created the recipe in a smaller batch, In my house, I am just about the only one who eats soup and hubby prefers full fat, but it is very easy to double or triple for a crowd or to freeze for multiple meals. Working on losing weight or maintaining it can be tough when you feel deprived of your favorite foods. One reason I love this Weight Watchers soup recipe is the fact that it is healthy enough to go into my diet plan for the day without feeling guilt. Using skim milk, tomatoes and seasonings give you a healthy meal that is rich and creamy without all of the added calories. At only 5 SmartPoints per serving, it is an excellent choice for a large portion! Rough chop onions and celery, transfer them to a food processor or chopper and puree until fine. 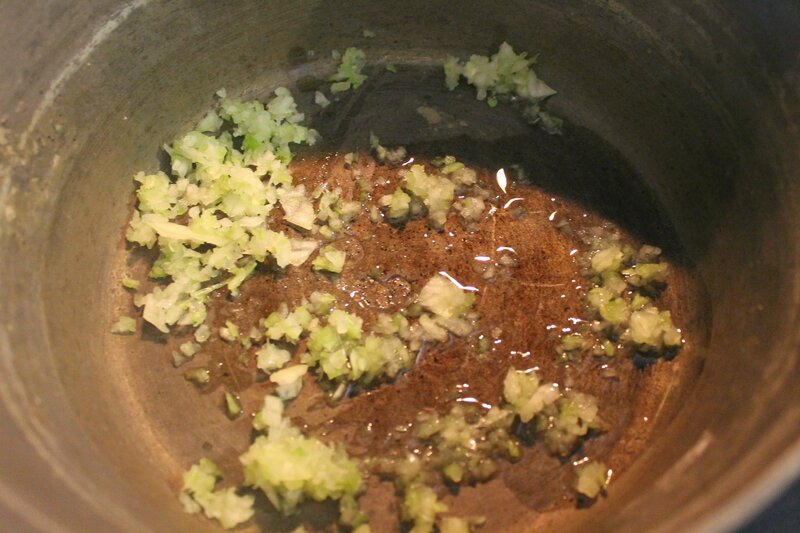 Add onion and celery mix to pan and saute until they begin to become translucent. Reduce heat to low and stir in garlic, pepper, chicken stock, and tomato puree, and cornstarch-simmer on low for 5 minutes. 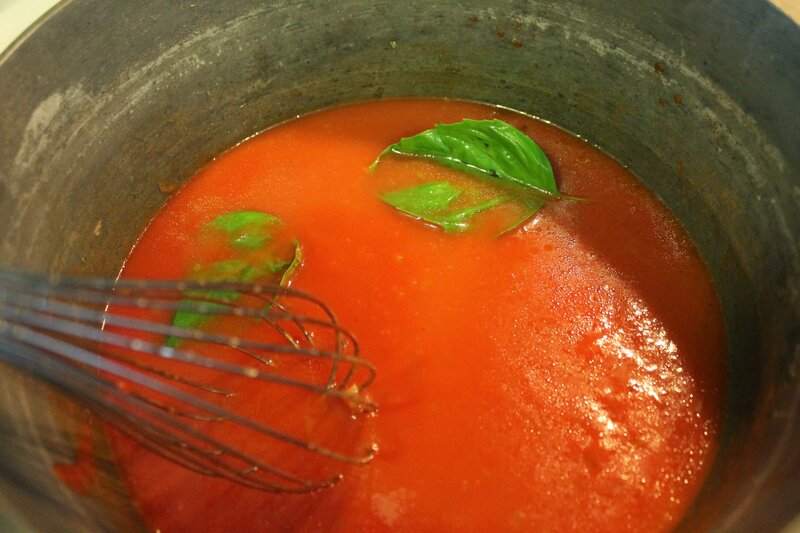 Whisk in tomato puree and milk, top with basil leaves, simmer for an additional 10 minutes. If you want your soup very creamy you can use an immersion blender like this to further chop the onions and celery, or put your soup in small batches in the blender with the top vented. We love this Weight Watchers Tomato Soup with a bit of shredded sharp cheddar and some crunchy croutons on top for flavor and texture! 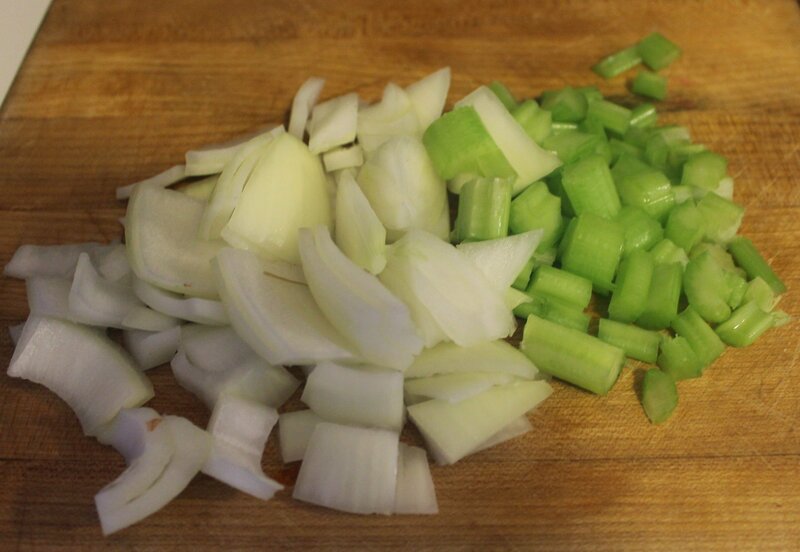 Add onion and celery mix into the pan and saute until they begin to become translucent. Serve topped with a dollop of Greek yogurt or a fresh chopped basil. We absolutely love soups in our house. Not only are they a great way to warm on cooler days, they are typically super tasty and easy to prepare. This Weight Watchers Creamy Tomato Soup is going to be a favorite all winter! Check out all of our great Weight Watchers Recipes! 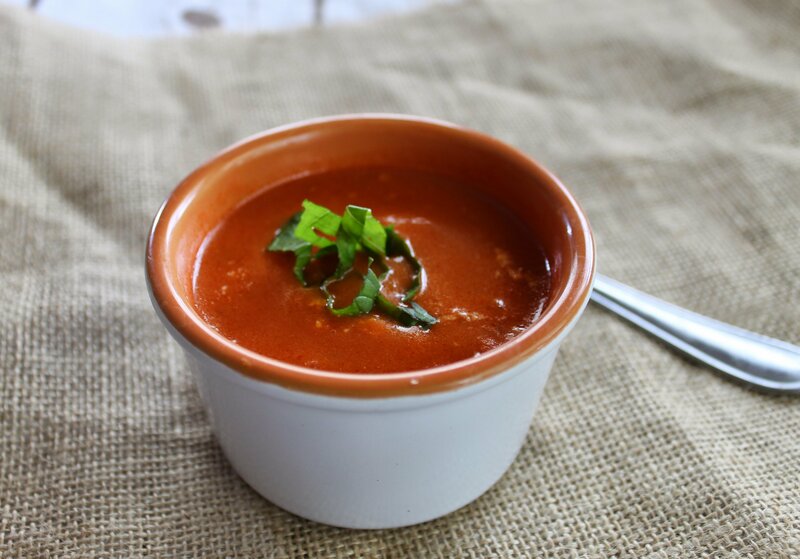 Tomato soup is just perfect for cold blustery days like we are having today! I’ll have to try this soon! I need to make this asap! Thanks for linking up with What’s Cookin’ Wednesday!